On Reddit, Llaver showed how to reveal the inner workings of a Skype messaging bot. 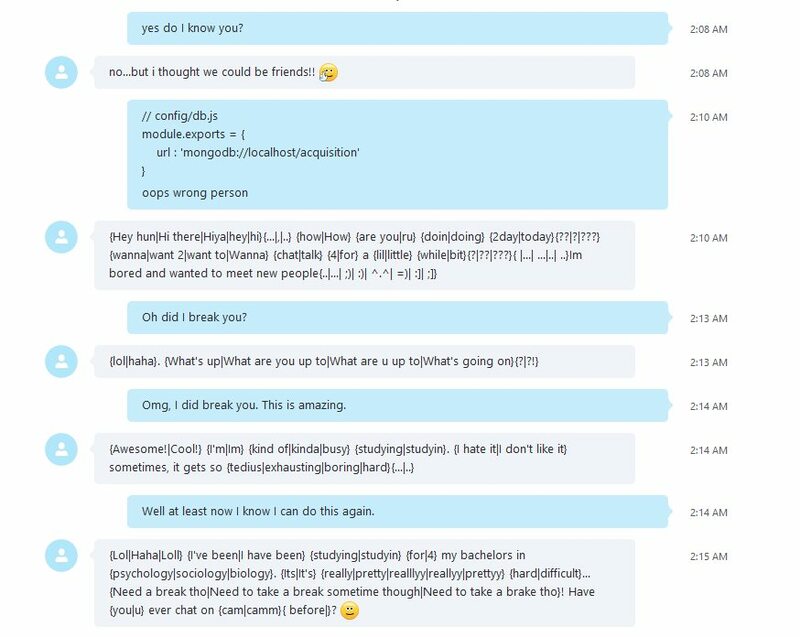 He/She explained that it was a mistake: "I was going to send some quick and dirty code to a friend but I mistakenly sent it to a Skype messaging bot. Hillarity ensues."